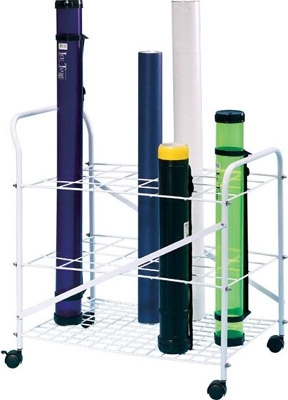 Organize office, studio or drafting room quickly and with ease. Each of the 24 openings is 3-5/8" x 4" and will accommodate up to a 3-1/2" tube. Shipped unassembled with easy illustrated assembly instructions.